You are here: Home Tech Tips Choosing an Recreational Vehicle – Which RV Is Right for You? Motorhome, Travel Trailer, Fifth Wheel, Pickup Camper or Park Model? 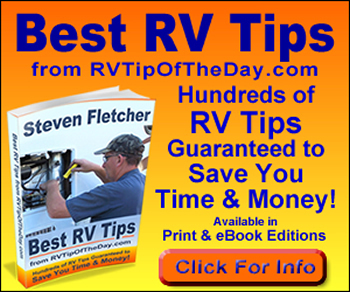 – Which RV Is Right for You? Modern RVs are as varied as the RVers who own them. But one thing is for sure, there is no right or wrong choice. Each type of RV has features that are attractive to some RVers, and less attractive to others. It’s really not a matter of a towable is better than a motorized, or vice versa, rather, it’s a matter of what will fit best with your RVing lifestyle. To be considered a recreational vehicle, in North America, a unit must provide at least four of the following permanently installed living systems: cooking, refrigeration or ice box, self-contained toilet, heating or air conditioning, a potable water system including water tank, faucet and sink, separate 120 volt electrical system, sleeping facilities and LP gas supply. Below you will find descriptions of the various RV types both motorized or towable. Within each of these main categories you’ll then find subcategories. Except for its larger size and longer stopping distance, a motor home responds much like a car and learning to drive one comes easy to most. Class A motor homes can be defined as an RV that is built on, or as an integral part of, a self-propelled motorized chassis. The conventional Class A is one whose living unit has been entirely constructed on a bare, specially designed motor vehicle chassis. Bus conversions are motor homes built from intercity buses. They tend to be the most expensive motor homes since the cost of the bus is included in the total price. Bus-styled motor homes look like bus conversions, but are built on a conventional Class A chassis and are therefore less expensive. – Most owners find it too cumbersome to drive the motor home for shopping, sightseeing or running errands. So many owners tow a small car. – Can’t back up while towing most cars. – Fewer places to get engine work done. Cost: Prices range from $50,000 to $500,000, with an average retail value of $117,500. The van camper is defined as a panel type truck to which the RV manufacturer adds any two of the following conveniences: sleeping, kitchen and toilet facilities, 100-volt hookup, fresh water storage, city water hookup, and a top extension to provide more headroom. – Retains the versatility of a large family car or SUV but provide many of the self-contained motor home attributes as it’s bigger brothers. – Small size and relative high cost. You can often buy a larger Class C for the same price. Cost: Prices range from $35,000 to $65,000, with an average retail value of $56,520. Class C motor homes, often referred to as mini motor homes, are defined as RVs that are built on, or as an integral part of, a self-propelled motorized chassis. But what differentiates the Class C from the Class A is the unit’s attached cab section. On the Class C, the RV manufacturer completes the body section containing the living area and attaches it to the cab section. – Tend to be smaller with lower GVRWs. – Smaller and fewer cargo compartments. Cost: Prices range from $45,000 to $75,000, with an average retail value of $56,770. – Better handling than conventional trailer. – Over all length of trailer and truck combo is shorter for the same trailer length. – The raised gooseneck section allows for a large storage area designed underneath the raised part of the floor. – Fifth wheel hitch limits use of truck bed. Cost: Prices range from $12,800 to $97,000, with an average retail value of $23,790. – Single level floor plan which is desirable to many RVers. – Lower profile than fifth wheel trailers. – If towed by pickup allows use of truck box. – Can be towed by a car or van. – The larger the trailer, the more sway and handling becomes a problem. – Somewhat more difficult to hitch than fifth wheel type trailers. – Low profile and light weight saves on gasoline, provides greater stability when towing, and decreases buffeting by wind and passing vehicles. – Necessity to set up and take down the tent. – Often require using the bathroom facilities at the RV park or campground although some models do offer a shower and/or bathroom. – Small holding tanks if any. – More space than typical RVs and a more home-like feel. – Home style appliances, fixtures and furniture. – Not usually self contained. – Popular among weekend RVers who use their truck for work during the week. – RVers choose truck campers because they want to tow a boat or other recreational equipment or the relative small size of the unit and 4 wheel drive available on pickups allows them access to remote locations. – Relatively small size versus cost. Cost: Prices range from $4,500 to $21,900, with an average retail value of $13,380.